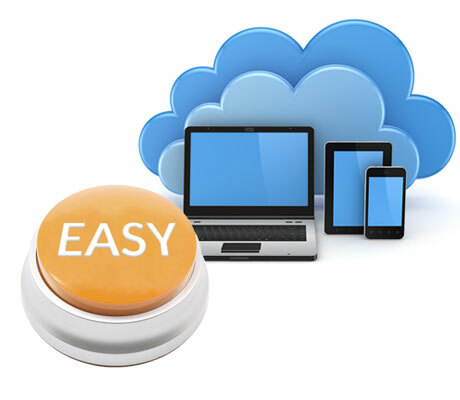 Access your Salonbuilder account and editing tools from any computer, 24/7. 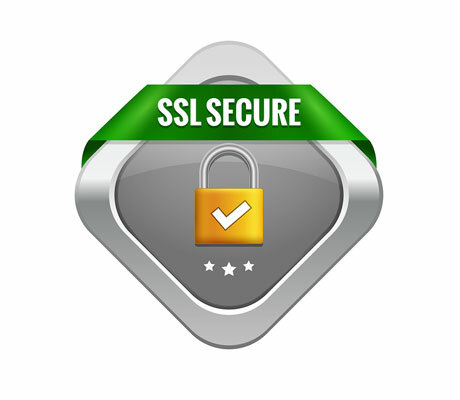 SSL Certificate (the best available). Inspire trust & let your customers know you value their privacy with a lock symbol in the Address Bar on all your pages. Enhance your (SEO) Search Rankings. Avoid site security warnings and notifications. Available with the newest responsive designs. 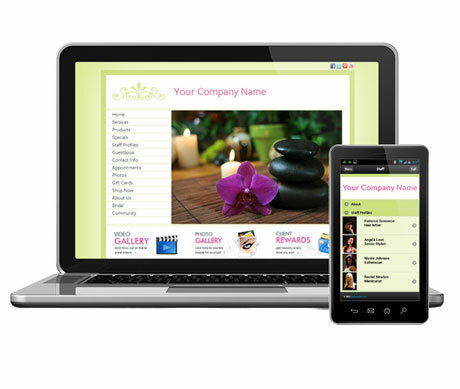 Customize your free matching mobile website, and get marketing with the free email campaign system. Select images from thousands of SalonBuilder Pro Stock photos or upload your own. We regularly add new slides, photos and marketing materials to SalonBuilder for your use. Personalized to the beauty industry! Get the unique look you want with our inexpensive Semi-Custom Design program. Select your text style and color from a huge library of specialized fonts now available with SalonBuilder. 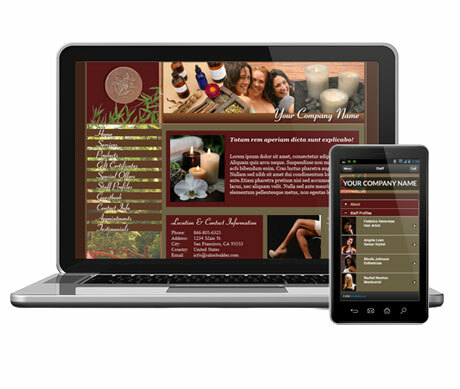 Customize your design layout, add Featured Tiles, Slideshows, change your page names, and much more. 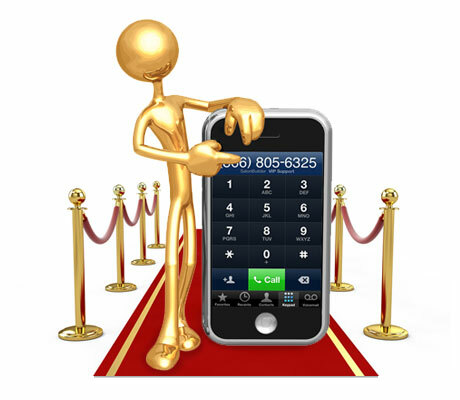 Every member at salonbuilder is VIP in our eyes. Get the high class support you deserve. 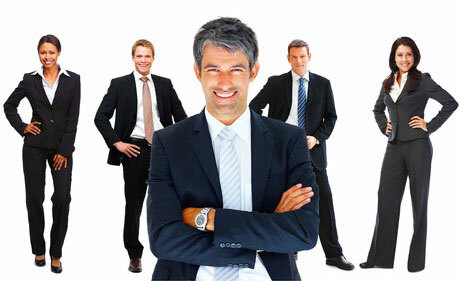 Now offering $1 complete site setup option - you wont find an offer this good anywhere else! One-on-one assistance with changes and updates. *After two successful billing periods your domain will be free. Prior to that there will be a $25 fee to release the domain. SalonBuilder websites get great search rankings because we take care of the technical stuff and coach you on how to do the rest. 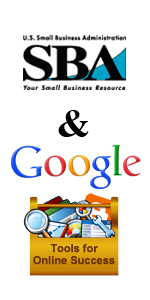 You can also signup for our inexpensive Google Adwords Campaign Management to speed up the process and get more clicks.